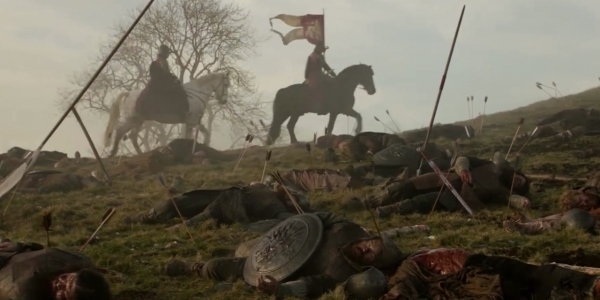 HBO’s Game of Thrones is remarkable in many ways, but it’s particularly incredible for the epic battle sequences that have taken place over the years. The Battle of the Blackwater in Season 2 felt straight out of a movie, and Jon Snow and the Wildlings vs. the ice zombies in Season 5 sent chills down spines in the best way. As it happens, Thrones has something even bigger in store for Season 6. According to co-showrunner David Benioff, the epic and bigger-than-ever Season 6 battle was a nightmare to shoot for some pretty major reasons. Miguel did such a fantastic job with ‘Hardhome’ we thought we should bring him back – this time with horses. Horses are not easy, at all. And certainly in terms of numbers – number of extras, number of stuntmen, number of shooting days – it’s the biggest we’ve done. Benioff recently shared that he considers Season 6 to be the best of Game of Thrones to date, so we can bet that what Miguel Sapochnik pulled off with the latest clash between armies is part of what has him so excited. According to Benioff’s fellow showrunner Dan Weiss, however, the awesomeness of this sequence won’t mean that there will be lots of them in the future. We wondered, ‘Why don’t you see more fully fleshed-out battles in movies and TV?’ Then you get into the nitty-gritty of what it takes to actually shoot these things in a way that isn’t just helter-skelter chaos but actually gives you a sense of battle geography and the ebb and flow, and you realize why. Keeping the number of big battle scenes of the series low is a good thing, all in all. The rest of the episodes need budgets as well, and too many grand showdowns could water down what is so breathtaking about them. Unfortunately for those of us who like to have a clue of what’s on the way, Game of Thrones is officially outpacing the source material of the A Song of Ice and Fire book series thanks to author George R.R. Martin failing to deliver Winds of Winter before Season 6's premiere. We have no way of knowing just which characters and which countries will be involved in the upcoming big battle, and if it takes place in the traditionally high-staked ninth episode, we’ll likely be well past the point of book lore. Fortunately for all of us, though, the Season 6 premiere of Game of Thrones is only about a month away. The series returns to HBO on April 24 at 9 p.m. ET. For a peek ahead, be sure to check out our breakdown of what we know so far about the sixth season.